The Guyanese Diaspora and how they can contribute to the country’s development has been a subject of much discussion in the past. More often than not discussions have always been centred on how we may encourage the thousands of Guyanese living outside of Guyana to return and to help contribute to this country’s development. The recent oil discoveries have caused Guyana to be placed in the international spotlight. Just a few days ago, United States oil giant ExxonMobil announced another two more oil finds offshore Guyana, bringing the total number of discoveries in the Stabroek Block to 12. Director of Energy, Dr Mark Bynoe, in making the announcement said the recent discoveries reinforces the country’s potential to be able to produce more than 750,000 barrels of oil daily by 2025. This is indeed more positive news for the people of this country, but the real substance of these finds will come when all Guyanese, both living at home and abroad, are able to benefit from these discoveries, whether directly and/or indirectly. As we know Guyana is now home to the world’s biggest new deepwater oil discovery. ExxonMobil has been keen to push development of the oil reserves and is expected to commence production sometime later this year or early 2020. There is no doubt a bright future ahead for everyone, especially our young people. Therefore, policies that are geared towards creating greater economic and social development opportunities for our citizens must always be kept on the front burner. That said, there is much more work to be done if our development potential is to be fully realised and all of us need to seriously get involved. For sure, Guyanese at home alone, will not be able to push this level of development by themselves because they are too small in number and do not possess all the skills required to undertake this massive task. There is certainly a shortage of skills in our country. Skills in various fields are badly needed especially with the oil and gas sector set to the takeoff. 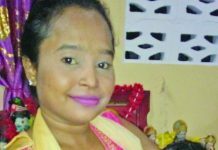 Over the years, Guyana has resorted to importing expats to work in our industries and other sectors, and most would know that hiring these expats comes with a high price tag; and thereafter, the money is repatriated to our disadvantage. There are Guyanese with the similar academic qualifications and skills in the Diaspora who are willing and ready to return home to serve. These are the people that should be encouraged to return home. Focus should be placed on the more mature generation – those with readily available assets and finances to continue their life and make investments in Guyana. To their credit, both the PPP and APNU/AFC Administrations are cognizant of the huge impact such investments could have on the development of Guyana and have put systems in place aimed at attracting overseas-based Guyanese to return. For example, the remigrant scheme was designed to give every Guyanese desirous of returning home an opportunity to be exempted from certain taxes etc once they decide to settle permanently here. Many Guyanese have already taken advantage of this facility. No doubt there are more Guyanese in the diaspora who are mulling their return to Guyana but are unsure of the start-over process. It is understandable that they would want to know how the system caters for their return, for example; how they can access a plot of land and build a home, and how they can secure employment. 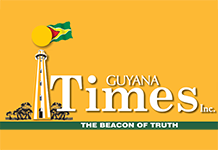 They would want to know how many of their personal items and assets they would have accumulated over the years in North America can be sent to Guyana without too many costs or hassle. All of this would help to make their resettlement less stressful. While the Ministry of Foreign Affairs website provides some level of guidance, there is need for a more effective public awareness campaign which would also entail more personal contacts with such persons. Many Guyanese are believed to be hard-hit in North America and not only that; many claim to have missed the Guyanese culture, warmth and hospitality which are rare in other parts of the world. We urge those in authority to place more focus on attracting the Diaspora to help in nation building. These are new and exciting times in Guyana and everyone must be positioned to take advantage.